Anyone who has ever owned electronic devices of any sort knows three things are certain: First, that they will become outdated. Second, that newer, better devices will come around every year. And lastly, the old devices will be very hard to dispose of short of just throwing them in the garbage. Fortunately, while you will never get as much as you paid for your old electronics, you do have some options. If you have old computers, laptops or other electronic devices, one option you have is to take them to a scrap metal buyer in Chase, MI. Generally, they will take communication cable, such as computer cables if there are no ends or steel attached to them. Some buyers will also take computer towers, although you need to check to see if they have to be intact or not. Some companies require they be intact, others will only accept towers that are torn apart at a reduced rate. You do have to make sure they can be opened to verify that you do not have any hazardous material inside. Scrap metal buyers will not mess with monitors or anything with glass screens. Another option you have is to sell your old electronics to a recycler. Their are different metal scrap buyers in Clare, MI that will harvest the metals within the electronic component, specifically any rare-earth metals like gold or silver. They generally will not reuse the materials, but rather will take what they want and dispose of the rest, so if you're concerned about how the non-used components will be disposed of, you should check with them first. Some recyclers however will recycle 100% of the electronics, so ask about that first. Check around to compare pricing to the troy ounce price of any precious metals they might find. 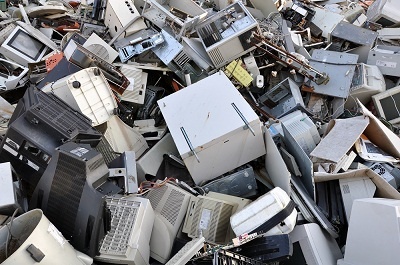 If you're unsure though what is in your electronic piece or machine, it might be best to simply find a recycler who will give you something for it, rather than simply handing it over for free and not getting anything out of it. You will not get anything monetarily like you would with scrap metal buyers from Chase, MI, for your old electronics, but donating them to charity is generally tax deductible. In some cases, government programs will take old electronics and give them to people in need – like an old cell phone. If you do pass along your old electronics, remember to reformat any drives as they will be reformatted eventually. Or if a smartphone, take it back to it's “default” settings prior to handing it over. Any data left on any electronic device could be accessible when they do an operational check, so best to permanently delete anything of value first. These are the three options you have for getting rid of your old electronics. The best offer money-wise will be to scrap buyers. The others, however, will get you some value. And if you go the charity route, you will have done something good for someone else while ridding your drawer, container or closet of those unwanted older electronics you've been meaning to clean out anyway.